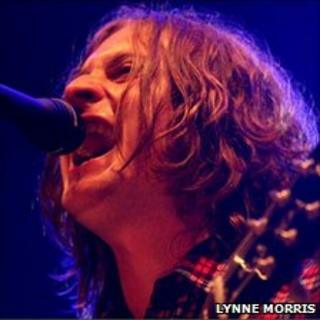 The lead singer of Liverpool band The Zutons has denied breaking a man's nose outside a city nightclub. Dave McCabe, of Vale Road, appeared in Liverpool Crown Court accused of head butting Peter Appleby in the Korova nightclub last February. The 29-year-old, who wrote well-known hits Valerie and Why Won't You Give Me Your Love, is charged with assault occasioning actual bodily harm. He has been released on unconditional bail until his trial on 20 September. The Zutons were formed in 2001 and released their first album Who Killed...... The Zutons? three years later to critical acclaim. Valerie was later covered by singer Amy Winehouse, who took the song to number two in the charts in 2007.